World Land Trust is developing its partnership with Nature Kenya (NK) to include tree planting and educational and capacity building activities, in association with NK’s network of voluntary grass roots conservation groups. 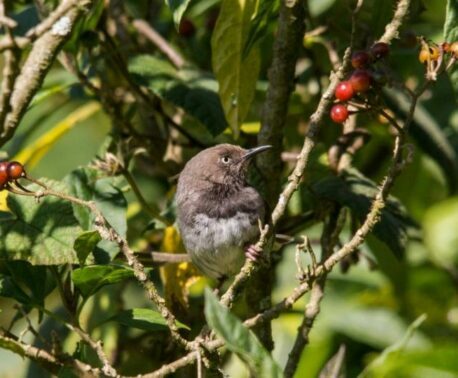 Compared to the number of partners WLT has in Latin America, WLT has few partners in Africa. The Trust is therefore very pleased to be supporting Nature Kenya. “Nature Kenya’s work with groups of conservation volunteers is very effective. So too is the importance Nature Kenya places on improving the livelihoods of local people,” explains Chris Smith, WLT’s Conservation Programmes Officer (Ecosystem Services), who visited Kenya in January 2013. Joan Gichuki is Nature Kenya’s Local Empowerment Manager. She chose to work with Nature Kenya (NK) because it provides an opportunity to work with local communities on a daily basis, and to build the capacity of conservation groups. Joan coordinates community conservation actions in Important Bird Areas where NK works. Currently there are 18 IBA sites and her specific role is to strengthen community groups in terms of governance and management and to help them build credible community institutions recognised by government and other stakeholders. “While restoring the forests, we are helping community members to generate income. Nelson Njihia is Rehabilitation and Livelihood Improvement Department Manager at Kijabe Environment Volunteers (KENVO), one of the voluntary conservation organisations supported by Nature Kenya. 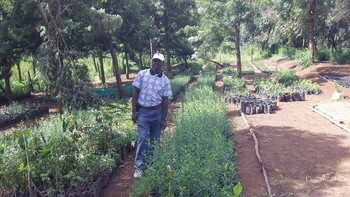 KENVO manages forest restoration, woodlot planting and a training and schools programme in the Kikuyu Escarpment area. WLT has supported Nature Kenya since 2009, initially raising funds to help create the Leleshwa Reserve in the Kinangop Plateau. 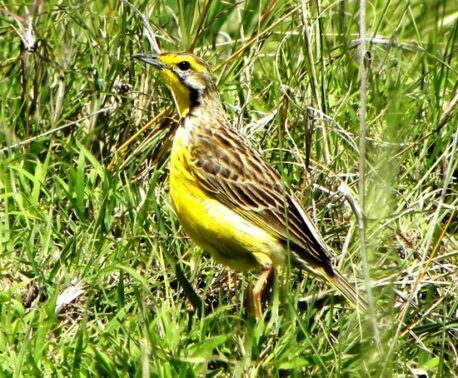 This reserve protects threatened tussock grassland which is an Important Bird Area, and the global stronghold of the endangered Sharpe’s Longclaw (Macronyx sharpei). Many migrant birds pass through this region and Kinangop is a key location for the migrant, Near Threatened Jackson’s Widowbird (Euplectes jacksoni) and Pallid Harrier (Circus macrourus). It is also an important location for Palearctic migrant bird species. Two endemic species of frog: Hyperolius montanus and Phrynobatrachus kinangopensis have been recorded, and the threatened Kenyan Horned Viper (Bitis worthingtoni) occurs in this region. Due to the rapid expansion of farming the Kenyan grasslands are being drained and cleared for farmland. WLT continues to raise funds to save this valuable habitat while there is still time. Support conservation work in Kenya by donating to WLT’s Action Fund and specifying Kenya in the comments box.